one of today's most popular games for kids is also one of the most addictive. The popular kids game; Minecraft, has held its place amongst children as one of their favourite online games for some time now. Whilst it's not as dangerous as Roblox, the game is very addictive which poses a greater risk of increased screen time. 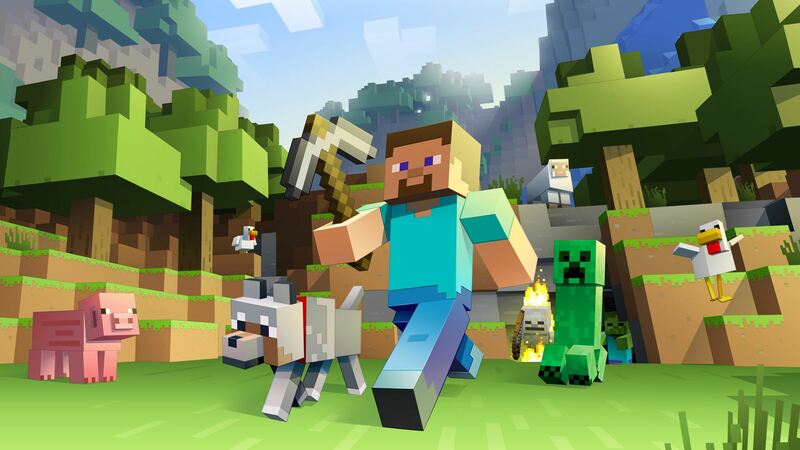 Minecraft is a massive multi player online game (MMO), which means that players enter an online world where they play the game at the same time with millions of other players from around the real world. They can interact with each other using an unmoderated chat feature and even upload their own content to create new worlds within the game where they invite others to play. The game is marketed to children and the purpose is for players to create an avatar and enter the online world without any money or resources with the aim to build an empire. This is achieved by wandering around the online world “mining” for resources, which are then crafted into tools which allow you to mine for more resources. Said resources are commodities such as rock, stone, gold and the rarest; Diamonds. In comparison to Roblox, where online purchases are a key issue, Minecraft does not require any additional purchasing. One of the greatest costs to a player is time, as acquiring resources takes time and for the average player there is no quick solution to this. More advanced players can create new worlds for others to join. As the creator of a new world, they can create any resource they want including diamonds. They can then ultimately use these as currency to lure players away from Minecraft and onto other platforms such as Facebook or Instagram. For example, the creator may offer to exchange a resource for the player to then follow them on a social media platform. Such behaviour is common among child users however due to the lack of moderation within the game, the creator may very well be an online predator. Fortunately, there is an offline version of the game. Children are unable to interact and chat with other users and are also unable to enter any of the user created worlds. This means their susceptibility to online grooming is removed. However, the game still poses the greatest issue of increased screen time. Getting the most out of this game and achieving the player’s goals takes a huge investment of time, which creates a major distraction from school work and will impact sleep. As we know, reduced sleep affects cognitive function impacting children's ability to learn and retain new information during school. As part of Family Zone’s many helpful features, we can block the online version of Minecraft from your children’s devices, without blocking other games they may be allowed to play. Our team of Cyber Expert’s has identified the online game as being unsafe for children to use and the offline version as posing a risk of increased screen time. At Family Zone, we understand that navigating this journey as a parent is difficult. But you're not in it alone - our team of Cyber Experts can help you sort out what apps and content are appropriate for your child, and provide you with the tools and resources to help you protect your children online.